including Dominican Republic, Jamaica and Belize. The beach is immaculate deep coral sand, the water is calm and clear, the swimming snorkeling and diving are world class. The land slopes very gently behind the beach and rides up to and slightly over the ridge where there is simple road access. The views over the bay and Caribbean Sea are panoramic, uninterrupted and include the islands of Union Island, Catholic Island and west - the sunsets are unbelievably beautiful. Mayreau is established as the destination of choice in the region for yachts from around the world and offers a unique opportunity for responsible care and development. This property is a Land for sale. I am interested in other Land for Development from Saint Vincent and the Grenadines. 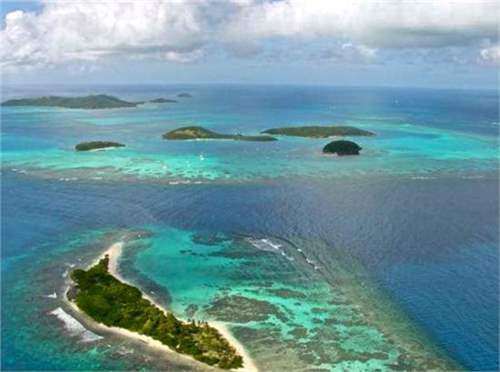 I am interested in other Properties from Saint Vincent and the Grenadines. Real estate for sale all over the world. I have seen your property for sale on Properties in Caribbean. Please get back to me with additional information. New to Properties in Caribbean? Properties in Caribbean is the Caribbean real estate listings portal. Properties in Caribbean is maintained and operated by Premier World Ltd. a registered EU (European Union) company. Our VAT number is: RO11732745. PropertiesInCaribbean.com is part of Mondinion.com International Real Estate Network.